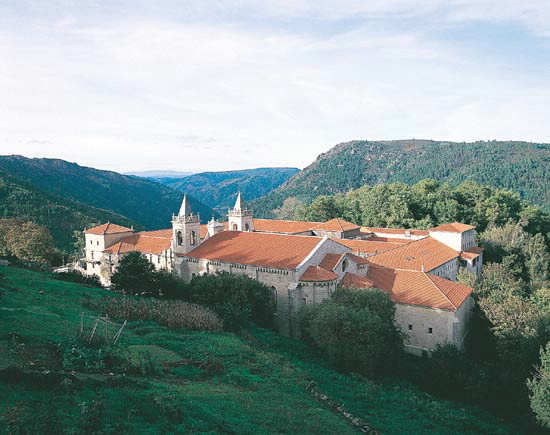 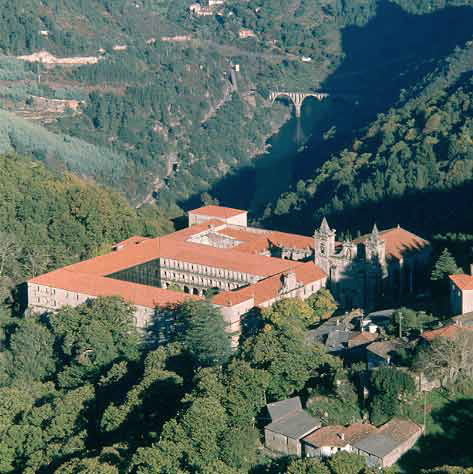 This Benedictine Monastery, located in the heart of the Ribeira Sacra, a natural environment with an original beauty where the Miño and Sil rivers converge, is one of the principal monastic centres of Galicia and is today one of its touristic references. 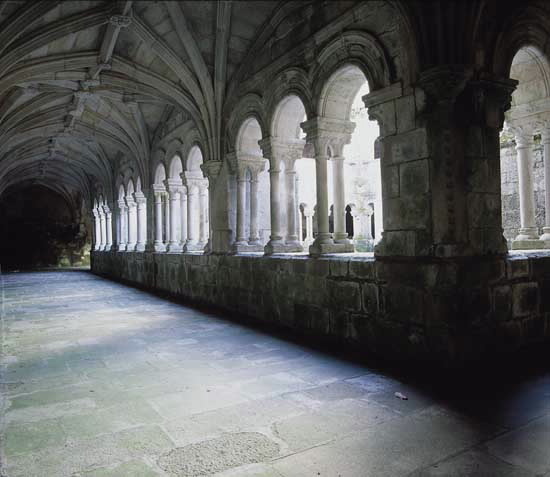 Although its existence is proved in the 10th century, its origens seem to go back to the 6th and 7th centuries. 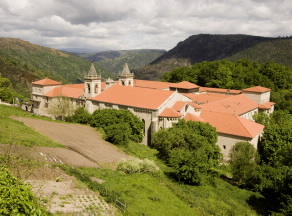 In this Monastery various styles alternate from the Romanesque to the Baroque, standing out the three cloisters (Romanesque, Gothic and Renaissance). 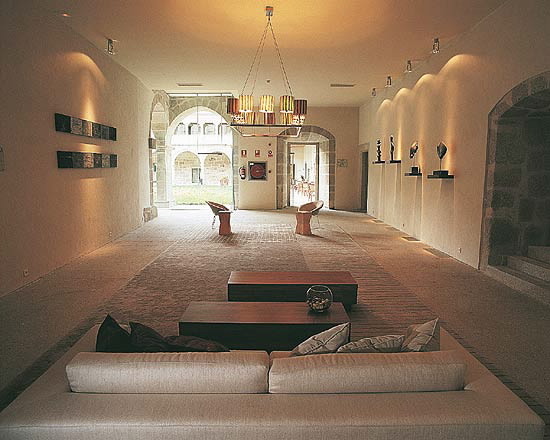 The building was declared an Historic-Artistic Monument in 1923. 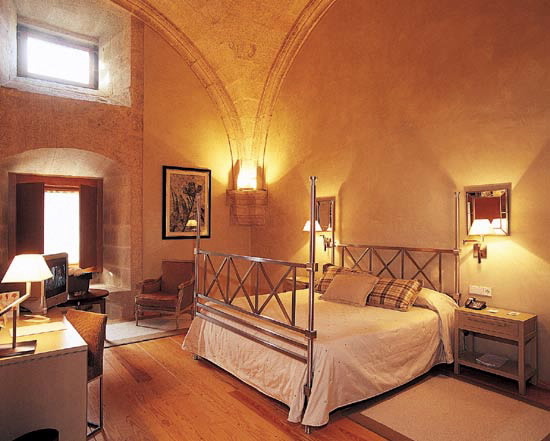 The Hotel has a total of 77 rooms, distributed in the 3 cloisters of different styles and periods. 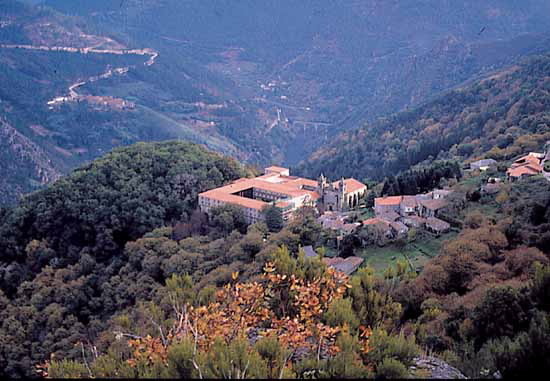 The rooms specially stand out becaruse they are all different and some of them with amazing sights over the Cañones (Canyons) del Sil river. 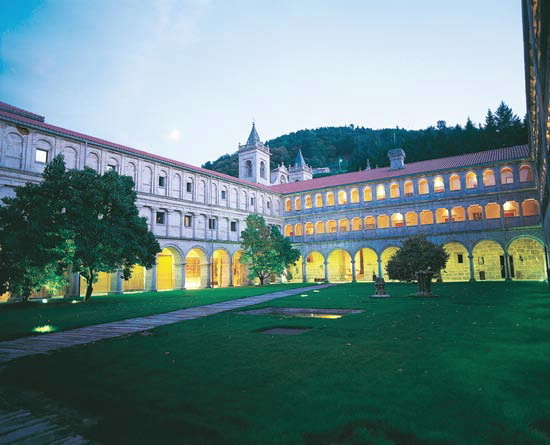 The establishment has restaurant with terrace next to the chestnut forests, coffee-shop that also has a terrace in the porter's cloister, lounges and beautiful gardens.